In Future Trends – Augmented Reality Indigenous Stories we look at how Augmented Reality is keeping indigenous stories alive in Canada, warnings on CRISPR ethics, IBM’s Internet of the body, food scraps powering trucks, and Nikolas Badminton delivering the harsh reality that the Human Resources profession is going to be (almost) entirely automated. Adrian Duke showed me his phone while we stood outside Vancouver’s Skwachàys Lodge. An animated raven popped up to tell me the story behind this boutique hotel, which houses Indigenous artists and their works. The raven was modelled on a commissioned painting by Garnet Tobacco, whose other paintings are on display inside the gallery. Skwachàys Lodge used to just be another hotel until the nonprofit Vancouver Native Housing Society took it over, in 2011. Squamish Nation Chief Ian Campbell named it after the once-marshy land it occupies. Now, it houses Indigenous artists-in-residence, those at risk of homelessness who are given shelter-rate apartments, and patients who come from elsewhere in British Columbia, on Canada’s West coast, seeking medical treatment in this city. Duke, 30, is a member of the Muscowpetung Nation. 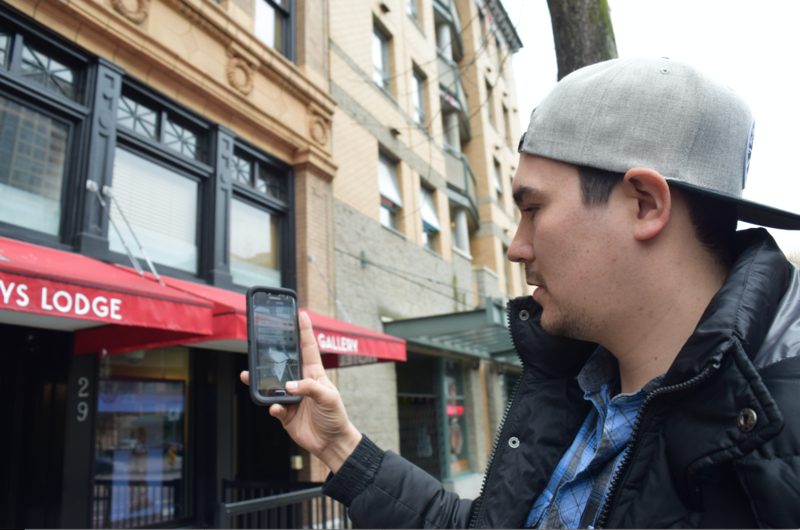 He’s developing a new augmented reality app—think Pokémon Go—to share Indigenous stories that are tied to physical places like this one. It’s called Wikiupedia, and Skwachàys is one of its first geolocations. Ethicists have been working overtime to figure out how to handle CRISPR, the revolutionary gene-editing technique that could potentially prevent congenital diseases but could also be used for cosmetic enhancements and lead to permanent, heritable changes in the human species. The latest iteration of this ongoing CRISPR debate is a report published Tuesday by the National Academy of Sciences and the National Academy of Medicine. The report, a series of guidelines written by 22 experts from multiple countries and a variety of academic specialties, presents a kind of flashing red light for CRISPR. The report did not recommend an absolute prohibition of gene editing on the human “germline” if such interventions can be proved safe. This would involve genetic changes to eggs, sperm or embryos that would persist in an adult and could be inherited by future generations. For some ethicists, that represents a slippery slope. At the conclusion of a gene-editing summit in Washington at the National Academy of Sciences in December 2015, scientists said that although some basic research could proceed, it would be irresponsible to use genetically modified germline cells for the purpose of establishing a pregnancy. But at the time the watch industry was facing a challenging period and its four-century dominance was coming to an end as digital began taking over. This triggered Bruno Michel, a student at University of Zurich, to switch his field from mechanics and electronics to biochemistry where he carried out a PhD. Eventually, he would come to realize that his previously acquired knowhow wasn’t time wasted as he developed smart robots to reach even more accurate results on a much wider library of genetically engineered enzymes he was studying — completely unheard of at the time. Gentle irony alert! A major U.K. supermarket chain has deployed a new fleet of trucks powered entirely by fuel made from food scraps. It has a certain cyclical elegance, don’t you think? The British chain Waitrose — similar in scale and vibe to the U.S. chain Whole Foods — has partnered with CNG Fuels, a European provider of renewable biomethane gas. CNG stands for compressed natural gas, although in this case the natural gas is biomethane that’s derived entirely from food waste. On average, biomethane is 35 to 40 percent cheaper than traditional diesel fuel and emits 70 percent less carbon dioxide, according to numbers from CNG Fuels. It’s a fundamentally different system than biodiesel or liquefied natural gas, and potentially much more cost effective. So why isn’t everyone fueling up with compressed biomethane? Well, trucks with the modified engines are more expensive, for one thing. Also, there is the matter of infrastructure — biomethane gas stations can be tricky to find. | Nikolas Badminton joined DisruptHR Talks on 30th march in 2016 to talk about the impending arrival of artificial intelligence and disruption of Human Resources.